The invisible angels accompanied them across the desert, worshipping with deep adoration the voluntary fatigues of the Infant God, supporting the steps of St. Joseph, and venerating her who was to bear the title of Queen of Angels. What is that mysterious strength which preserves happiness in the midst of fatigue, and serenity in suffering ? It is Faith in the word of God, obedience to His will, resignation, which makes us willingly accept suffering for God's sake 5 hope,, which shews us the eternal reward of our toils in a better world, and above all, the love of Jesus. This it was which supported Mary and Joseph under the fatigues of their long journey. If we knew how to hope like Mary, and to obey, and to resign ourselves as she did, God would send us also His invisible angels to support our steps even in the roughest paths. At the end of their journey the Holy Family reached the high lands of Judea, and Joseph and Mary wished to enter the ancient City of David, to return thanks to God in His temple. But Archelaus, son of the impious Herod, reigned in his stead, and he was as cruel as the murderer of the innocents at Bethlehem. The angel of the Lord appeared once more to Joseph in his sleep, and warned him not to expose the Child Jesus to the hatred of this wicked man. Joseph, therefore, hastening his flight, took the road to Galilee, and the Holy Family rested in their dwelling at Nazareth, so long left unoccupied, and now almost in ruins. Before long the labours of Joseph and of Mary repaired the rains and effaced the traces left by years of neglect. The humble house at Nazareth sheltered the Child Jesus. There it was that He grew up f while year by year the grace and Divine Wisdom which was in Him shone forth more and more; there it was that long years were passed under the eye of God, the only peaceful years which the Saviour of men was to pass upon earth, years of rest for the Blessed Mother, who saw such a Son growing up? under her eyes. Of the thirty-three years that our Saviour lived in this world, thirty were passed in this happy obscurity of family life. His public life, during which He accomplished all the miracles of our redemption only lasted three years. How is this mystery to be explained ? How can we understand the omnipotence of God fettered in the swaddling clothes of infancy, and His youth, of which the Gospel gives us hardly a glimpse, hidden in an obscure dwelling ? Once only does a ray of this hidden light reach the eyes of men, when the Child Jesus appears in the Temple,, before the doctors of the old law, but He returns at once into the obscurity of Nazareth, and the whole history of these holy years is summed up in the words of the Evangelist St. Luke, " and He was subject to them." The Eternal Word, the Son of God, subject to Joseph and Mary, and subject to them for thirty years ! Shall we, like those who have eyes and see not, ears and hear not, pass by this long miracle of the Childhood of Jesus, without pausing to consider that these years of silence are the first-fruits of His mission in this world, the foundation upon which it was Hit will to rest His teaching, and the whole of human society ? Jesus Christ came into this world to re-open to us the gates of heaven, by expiating our sins; He came also to show us the perfect example of what man ought to be after his regeneration. He begins His life, therefore, by the practical teaching of that great duty which meets man at his entrance into the world, of that duty which comes immediately after the homage and worship which we owe to God. He teaches reverence to earthly parents as a consequence of the reverence due to our Father who is in heaven. When God gave His holy law to His chosen people, immediately after the first three commandments, which speak of man's duty to God, comes that solemn commandment which seems to be the transition between the duties of man towards God, and his duties to men. Thou shalt adore the Lord thy God: thou shalt not take His name in vain: thou shalt keep holy the Sabbath day: this is the homage commanded to man towards, his Creator. Honour thy father and thy mother t this is man's first duty to man. Let us meditate awhile on the deep wisdom of this command of God. What is more frail and weak than an infant at its first entrance into life ? The poor little creature hardly knows how to turn its eyes to the light; its delicate limbs would be injured if not tenderly wrapped up, and carried in maternal arms. The only sign of its frail existence is that plaintive wailing which so deeply moves the heart of the mother, and calls forth all her tenderness to the help of this little being, who for a long time to come could not live without her. Is this the noblest creature which God's hand has formed ? Why this long weakness ? Do we not see the young colts bounding in our fields, and the pretty white calves sporting on the grass whilst their mothers graze by their sides, having no other trouble than patiently to give them their milk ? How bold and strong are they, at the age when our children are too weak to stand alone ! All young animals play around us from their birth, or after a few days of rapid development. The mother, carrying her child in her arms, sees fluttering around her little chickens, which have but just broken their shell; whence comes this inferiority of the child to the young animals? Why is he who is one day to become a man and a lord of the creation for so long a time weaker than all other creatures ? This is one of the great secrets of the Divine Wisdom. Look at this little infant. Pass over the first weeks, in Which the small body alone seems to live; A day comes When that uncertain glance, which up to that time had vaguely followed the light, rests on the mother's face, which is bent over it. This glance gradually becomes mm fixed, and is lighted up with intelligence, and the infant soon recognises and seeks her who is always there, to answer its first cry. It soon understands the tender smite which asks in return a look of lore, 'and which first awakens its intelligence. Do you hear the mother's joyful cry? Her son has just smiled for the first time; this is the first glimmer of light in his soul. Every day will now bring progress, This little helpless body will soon become full of .animation and movement, when called by the well-known voice, Its hands will be stretched out, and its eyes will be lighted up with intelligence, and before the year is ended, if the mother is a good Catholic, his eyes will seek the -cross hung over his cradle, and he will kiss his little hands before the picture of Mary, his holy Mother in heaven. Here begins the mother's holy ministry. She is to her little one the first representation, and the first reflection of the goodness of God. The head of the family, the father, who already unites his tenderness to hers, to protect the child, is one day to represent God's authority; His justice, tempered with fatherly lore, is to direct the first energies of the dawning imagination, to turn, the already strong but inexperienced will into a good channel, and to deter it from evil, if necessary, even with severity. Our children are the children of Adam, Though the mercy of God, and the infinite merits of our Saviour, have opened heaven to them, there remains in them a fatal trace of our first father's sin, an inclination towards evil, against which we must strive almost as soon as the child begins its life. He must gain his bread on earth in the sweat of his brow. It is also in the sweat of his brow that he must gain eternal life. Just as we see some who unhappily prefer want to labour, and have no bread to give their children, because they drink in one day what would nourish the whole family for several weeks, so do many forget heaven, because it appears too difficult to gain, and lose their souls for miserable and fleeting pleasures. Whose duty is it to teach the child to know God, as soon as its mind is able to understand, and to love Him with its first affections ? Whose duty is it to make of home a blessed sanctuary, far from all evil, into which good can enter on all sides, from which the child will one day come forth armed against the dangers of life, pure from all evil, adorned with virtues, and already hardened to labour? Those, most surely, in whose hands the Lord has placed this little being, and in whose hands His wisdom leaves it during those long years of weakness and slow growth. The little animal who is alone as soon as it has come into the world, and is sufficient to itself after the first months of its existence, has nothing but a body and an instinct, which God has given it, that it may be better able to serve man. And if we observe animals, beginning by the most imperfect, and going up gradually to those which God has made the companions of our labours, we shall see that the more perfect they are to become, so much the more has the Creator surrounded their early days with love and care. The insect, the fish, and the reptile, know not their mothers, and have no need of them. The young bird, who is one day to have a superior instinct, is hatched in a wonderful nest, under the wings of a mother who has covered it night and day, enduring for its sake hunger, danger, and loss of liberty. It is tenderly nourished by its parents, and its mother teaches it to try its wings, until the little inhabitant of the air darts away, caring no longer for the nest to which it will no more return, or for the mother of whom it has no longer need. If we look at the domestic animals, at the dogs which are almost like our friends, the horses and cattle which serve us so well, we see with what instinctive tenderness they" have been surrounded in their early days. We have often heard in the fields the disconsolate lowings of a cow which has been deprived of her calf. We see that the more perfect the animal, the longer is its time of weakness and dependence; as if in the tenderness which protects it there were some superior influence which develops whatever is best in its nature. By a wonderful permission of Providence this tenderness lasts just long enough for the young animal to develop completely, after which both the mother and her offspring forget each other, and this tie, which was once so strong, exists no longer. With us, on the contrary, let us bless our Creator as we say it, the tenderness which has watched over the cradle of the infant, grows with it, and follows it step by step through life, and endures even after the last words of instruction and blessing have been spoken, and watches from heaven those whom it has guided on earth. The reason is, that human tenderness has so much more to accomplish than is effected by the less perfect affection of the animals. The most perfect amongst them have nothing but body and instinct. They have not that divine breath we call a soul, and the education of a soul created to love God .and destined to Christian perfection, and to the glories of paradise, must be longer and more difficult than that of the animal, whose only destiny is to be subject to our will. God fetters the noblest of His creatures in the long weakness of childhood, that this weakness, which attaches him to his home, may attach him also to his father and mother, and that bis soul may receive during these years the instruction and progressive development, which is to make him a man and a Christian. Hence it is that God has put into the mother's heart an inexhaustible tenderness, that He has animated the father's heart with that strong and fearless love which must equally nourish the body by labour and the soul by example and instruction. Hence it is that the child, as soon as it begins to learn the commandments of God, finds honour to parents placed immediately after his duty to God. Hence it is that Jesus was subject to Joseph and Mary. But what a charge and what a responsibility for those who are fathers and mothers, to be the representatives of God in the family ! What an honour and what a charge ! Let us humble ourselves, and in order to promote the salvation of our children, let us endeavour to make ourselves less unworthy, and more fit for our task. No labour is easy in this world, where we must, for so God has said, gain all by the sweat of our brow. There is no treasure for which we should toil harder than the reverence of our children. Let us remember that each one of our actions, every word that drops from our lips, leaves its traces in the hearts of these little beings, even when we imagine that they are taking no notice. Nothing is unseen or unnoticed by a child. He learns only by what surrounds him, having as yet no stores within himself, and he is accordingly gifted with a wonderful facility in hearing and remembering. Let us be careful lest this providential faculty cause his ruin if we put evil before him, where it is the will of God that he should see nothing but good. We cannot deceive our children; our words will have authority only if our whole lives have gained their reverence. Our commands will only be respected if our children have learnt by our example to conquer themselves, to prefer duty to their own pleasure. Force will avail nothing if we only obtain by it a useless triumph over the weakness of our children; their will and intelligence will ever secretly rebel, until they are strong enough to resist us face to face. Let us not be anxious, therefore, as to the fate of our children; they are like those children whom Jesus blessed, they will want for nothing even in this world, for they will be honoured by all as the living images of our Saviour. But first we must ourselves receive them in our Saviour's name, and when we have brought them up for Him, the presence of the Christian child will sanctify and console us as though the Child Jesus Himself was in the midst of us, and our dwellings, poor though they may be, will become the image of the happy home at Nazareth. O holy Mother of God, teach us that true tenderness from which all selfishness is banished, and by which, far from loving ourselves in our children, we may love in them souls redeemed by the blood of Jesus Christ, and destined for heaven, Christians called to be. His servants. Mother of Christ, teach us to reverence in them the image of thy Divine Son. 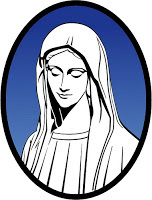 Mother of divine grace, teach us to pray for them as thou dost pray for us. Mother most pure, obtain for us purity of heart, that we may not scandalize our children by doing the evil which we forbid to them. Mother most amiable, give gentleness to our words, and a charm to our teaching, that we may make them love the law of God. Mother most admirable, make our children see in us the example of the good we teach them. Mother of our Creator, ask of Him to create in us a new heart, tender and wise enough for so great a mission. 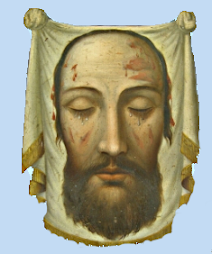 Mother of our Saviour, obtain from Him that He would raise up these young sons of Adam when they fall, and save them from all evil when we can no longer preserve them from it. Amen. To love our children for God's sake. To bring them up for Him, and not for ourselves.